MOSCOW (Sputnik) - Moscow is demanding a thorough investigation of NATO-led coalition airstrikes in the Afghan provinces of Helmand and Paktia and bring those responsible to justice, the Russian Foreign Ministry said Monday. "The situation causes deep concern… Such a criminal lack of professionalism raises serious questions about the activities of NATO troops in Afghanistan. 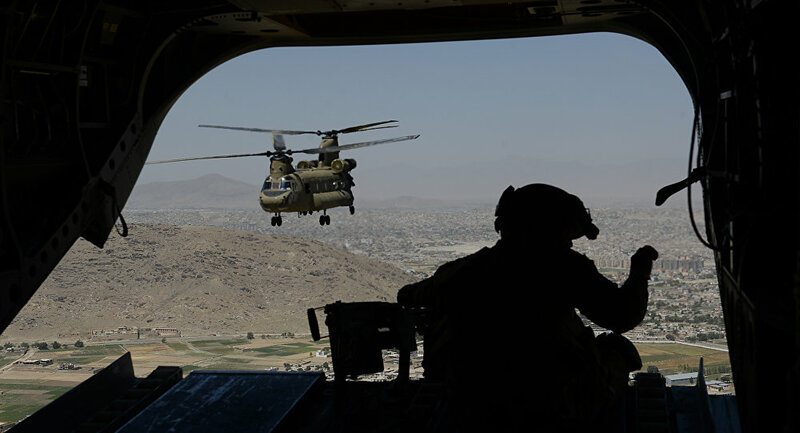 As far as we can see, the observed increase in casualties is directly related to the previously announced US decision to intensify its military activity in Afghanistan," the ministry said in a statement. According to the ministry, airstrikes in Helmand have recently killed at least 23 and wounded three civilians, while coalition's military actions in Paktia killed eight and wounded four civilians, bringing the number of similar incidents to at least five in the second half of November. "We demand that a thorough investigation of the above-mentioned incidents should be carried out and those responsible should be brought to justice," the ministry stressed. According to the statement, Russian and US special envoys on Afghanistan will discuss, at a meeting in Moscow, the facilitation of a direct dialogue between official Kabul and the Taliban. "The upcoming consultations will focus on discussing the possibilities of Russian-American cooperation on Afghanistan, primarily in contributing to launching a direct dialogue on peace between the warring parties in Afghanistan," the ministry said. Earlier, Russian Foreign Ministry Second Asian Department Director Zamir Kabulov, Russia's special envoy, told Sputnik that his meeting with his US counterpart Zalmay Khalilzad would be held on December 7. On the same day, the US diplomat will be received by Russian Deputy Foreign Minister Igor Morgulov.